The Great South Sudan Run was the idea initially started by Mr. Tekato raised some money two years back to rescue the vulnerable South Sudanese who had been affected by the then 2017 famine. However, Mr. Tekahas gone beyond the Great South Sudan Run. He has helped in building six police stations and eight health units in some parts of the country. All business persons have corporate social responsibility to play in order to change the lives of the local people in the areas they are operating their business. 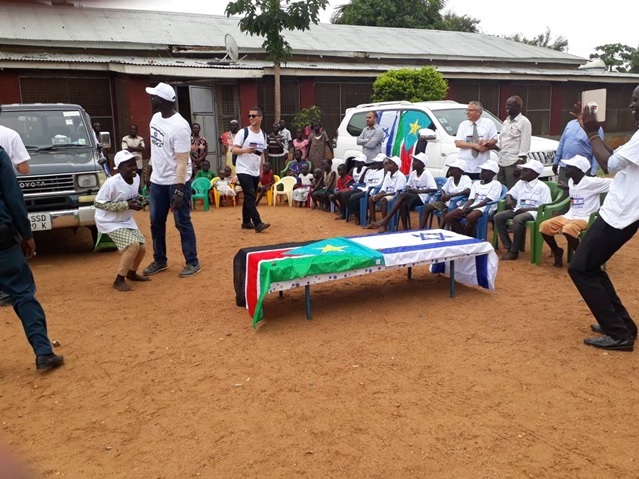 Unfortunately in South Sudan only few companies are doing that.Therefore, when a company does it, it is quite important to recognize such contribution. The good deeds done by Mr. Teka have been recognized by the citizens as he continues to bringing them annually together through Great South Sudan Run. And above all the head of state have said it all by awarding him citizenship. Such kinds of opportunity always happen rarely and it comes with great contribution from the individual. It is not always easy to be awarded a citizenship by the head of state which requires an exceptional contribution act. In 2018 French President Emmanuel Macron awarded a Malian national with citizenship for his exceptional act. The 22-year-old Mamoudou Gassama Gassama who has been dubbed “Spiderman” for climbing up five floors, from balcony to balcony, and whisking a four-year-old boy to safety. In a similar way, Mr. AyesheshimTeka has come with exceptional responsibility which shall not be forgotten by this country for creating unity among the citizens through sports at the time when the nation was torn apart by the conflict.